As I have mentioned in my previous post, we were in Midas Hotel many weeks ago and did a little photo shoot. I'm all for being casual and I like to wear lovely accessories that add some zing to my mundane outfit. 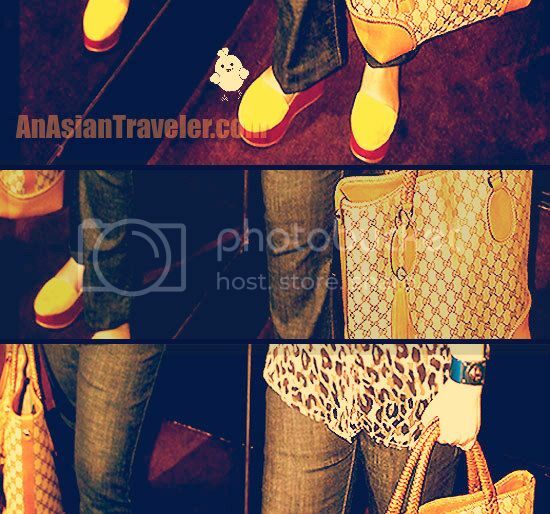 This Gucci camel brown tote is one of my favorites I purchased last year. And not to mention a pair of color-blocked wedge shoes are also perfect to give a little burst of color. Here's another look of the lovely Gucci. I enjoy bags with details like this dangling woven leather trim and tassels with metal G details that double as bag charm. And since we're talking about handbags, might as well mention HB's messenger bag. Here's a better look of the LV bag worn across the body. 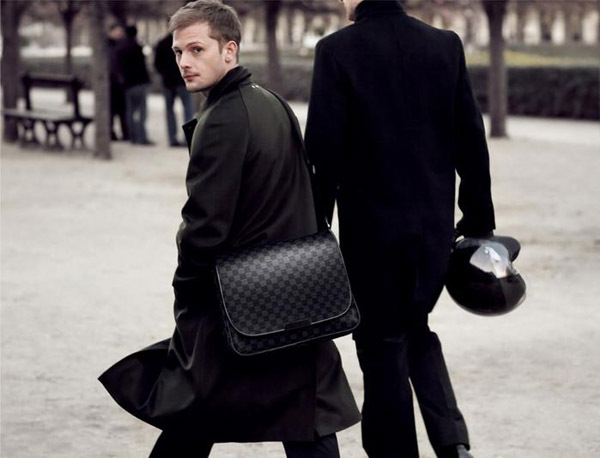 The LV Daniel Damier bag has a lot of space and can also easily hold a laptop. While the Gucci Marrakech is just what I was looking for. Great size and a great accessory to go with any outfit. Plus it doesn't slouch it stands up nicely. Both of these classic bags are worth the investment. 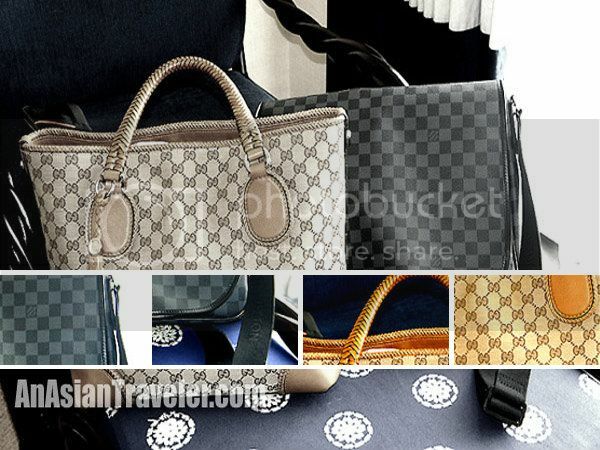 There are a handful of many scams/fakes out there, so if you want to buy authentic handbags go to authorized retailers. And please avoid the designer handbag trap. Don't be like this woman whose obsession led to crime (The P500-million 'Birkin scam' - source here). If you really can't afford, buy a cheaper or less expensive version but with good quality. It doesn't really matter what kind of bag you carry as long as you like it, and it's not fake. It's better to buy a "no brand" bag rather than a replica. Spend your hard-earned cash wisely.